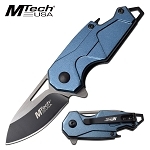 Day by day the promising quality of the MTech knives take it a step ahead. The cool knives that MTech has been providing are of great use as they are designed for perfection. Most of the knives are good if you really are concerned about your safety while outdoors. 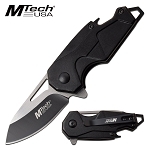 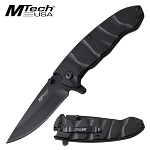 MTech USA has some of the best tactical knives that you have been searching for. 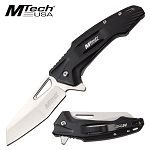 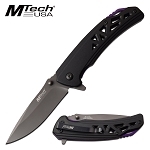 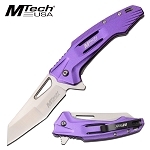 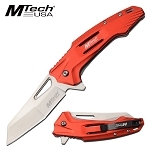 MTech USA is a brand of top quality knives. MTech knives have been specially designed for safety purpose. 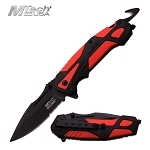 These knives are not less than a blessing when it comes to self defense, close combat or any other street fight. 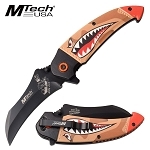 These knives will surely give you an upper hand in all the challenges you face. 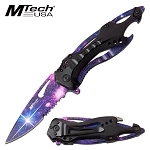 However, the MTech knives are not limited to tactical knives, you will find a wide range of neck knife, butterfly knife, spring assisted knives and many more under this category. Grab your favorite one today and stand out from others. Knife Import has a wide range of MTech knives at wholesale price. You can choose your favorite knives from the large collection we have. 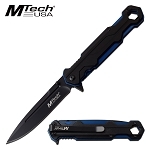 The knives can be used to perform everyday chores or you could keep the M Tech knives with you for your safety. 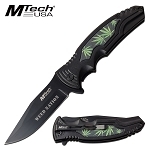 Our wholesale rates are unmatchable and you surely would benefit from the prices we offer.